Both teams entered the first-round game, played in the storied Cotton Bowl, with 10-4 records. For a franchise with few great memories, this playoff contest didn’t add anything to Lions’ lore. Final score: Dallas 5, Detroit 0 — only one of three 5-0 games in NFL history and the only one played in the postseason. 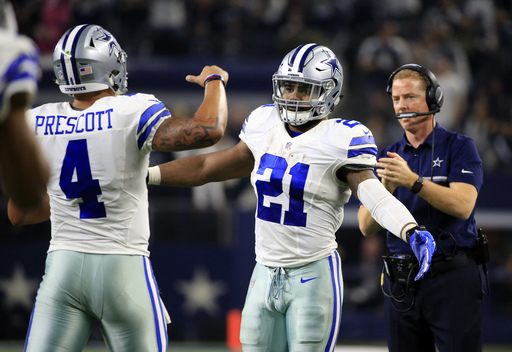 Now, the Cowboys and Lions don’t exactly have a storied rivalry — they have only met 26 times, with Dallas leading the series 14-12. The weather wasn’t horrendous — 35 degrees and mild winds — so that couldn’t be blamed for the bizarre final score. But the quarterbacks could be. 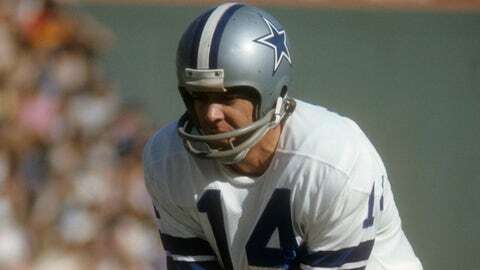 Detroit’s Greg Landry and Bill Munson combined to go 7-for-20 for 92 yards and an interception; Dallas’ Craig Morton was worse, if that is possible, going 4-for-18 for 38 yards and one pick. They did, however, get chewed up on the ground as Dallas rushed for 209 yards compared to Detroit’s 76. The Lions averaged less than three yards per rush. Dallas’ workhorse was the enigmatic Duane Thomas, who carried the ball 30 times for 135 yards. His backfield-mate Walt Garrison added 72 yards on 17 carries. 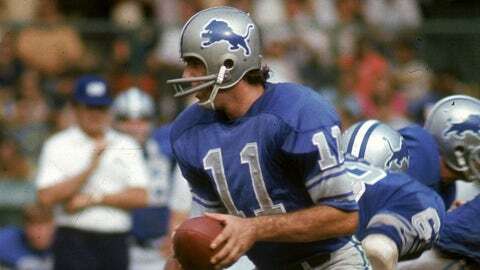 The only scoring came on Mike Clark’s 26-yard field goal, and, of course, the Lions suffered the embarrassment of having George Andrie and Jethro Pugh sack Landry in the end zone to add the icing to the 5-0 final. The Lions actually had one last gasp at winning the game, but Munson’s pass was intercepted by Mel Renfro to seal the shutout. Coincidentally, it wasn’t the only baseball score the Cowboys were involved in that season. Two weeks earlier, they defeated the Browns, 6-2, in Cleveland.